Radja Nainggolan has insisted that he is not surprised by Mohamed Salah’s brilliant start to life at Liverpool FC. 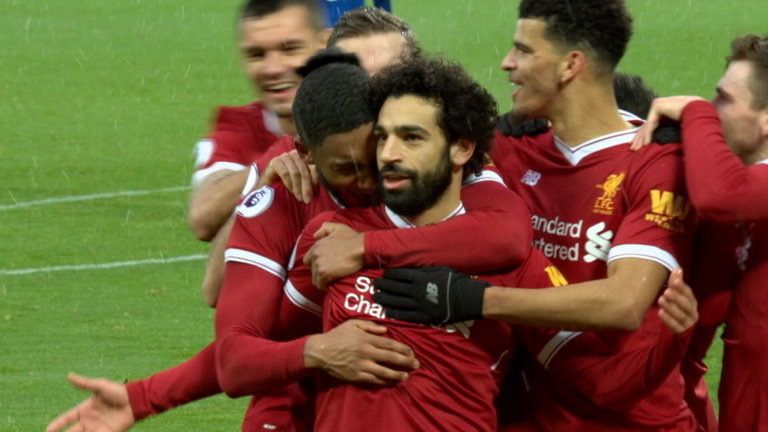 The Egypt international has been one of the Premier League’s top performing players since his transfer to Anfield from AS Roma last summer. The 25-year-old has scored 41 goals in all competitions and has been earning huge amounts of praise for his strong form. Salah is leading the way to win the Premier League golden boot this season and his form for Liverpool FC this term has been nothing short of remarkable. And his former AS Roma team-mate Nainggolan has insisted that he was not surprised to see Salah do so well during his first campaign at Anfield. Speaking to Belgian outlet HLN, Nainggolan said: “I am not surprised by his success at Liverpool, as he always had the quality. The two former team-mates are set to come up against each other on Tuesday night when Liverpool FC host AS Roma in the first leg of their Champions League semi-final clash at Anfield. The Reds booked their place in the last four of Europe’s elite club competition in style with a brilliant 5-1 aggregate win over Manchester City in the quarter-finals. Liverpool FC are currently in third place in the Premier League table as they chase a top-four finish for the second season running.